Last week, we looked at General Abercromby’s failed attack on Fort Carillon. At the same time Abercromby made his attempt. Gen. Jeffrey Amherst was leading a separate army against Louisbourg. 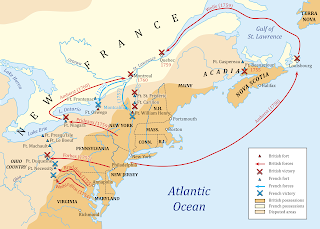 The British had already captured much of Nova Scotia (also known as Acadia) back in 1755 when they expelled thousands of French Acadian civilians from the region. I discussed this back in Episode 7. 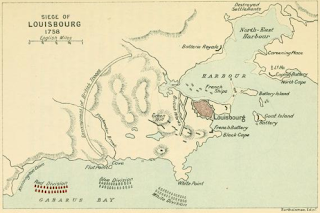 The French, however, retained control of Fort Louisbourg on Cape Breton Island. Today the island is considered part of Nova Scotia. Back then, they considered it a separate entity. Louisbourg controlled the mouth of the Gulf of St. Lawrence, the only water entry to the St. Lawrence River which was the only effective supply route for the French in the Great Lakes region. Taking Louisbourg would cut off Canada from France. But the Fort was an impressive one and would not fall easily. It had fallen before though. Just over a decade earlier, a force of mostly British colonists from New England had captured Fort Louisbourg during the War of Austrian Succession (known in America as King George's War). They had done so at great cost, and were outraged when London gave the fort back to the French as part of the treaty ending that war, in exchange for concessions in Europe. 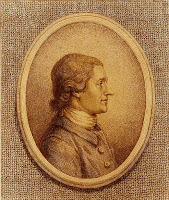 William Pitt had dispatched Gen. Loudoun to take Louisbourg in 1757. After his arrival, he looked at the French defenses, decided an attack was impossible, and returned to New York without even making an attempt. His failure was a big part of his recall in December of that year. Much of Loudoun’s concern in 1757 was that a large French fleet supported the Fort, and prevented a British fleet from attacking. In 1758, the French Navy was mostly gone, with only a half dozen warships in the harbor. The British Navy effectively prevented any French naval relief force from arriving. So chances of victory looked much better this time. Gen. Amherst commanded a total British force of about 14,000 soldiers along with 12,000 sailors and marines under the command of Admiral Edward Boscawen. The French had only 3500 soldiers and another 3500 sailors and marines, but had the vast defenses of the Fort for protection. The British could have approached by land from Nova Scotia, but doing so would have meant a long hard march over rugged terrain. Instead, Gen. Amherst rather recklessly attempted a water landing on the Island in the face of enemy fire. It could have been a disaster. Col. Wolfe, in charge of the landing, called it “rash and ill-advised.” In the 18th Century, water landings in the face of the enemy were extremely difficult, as troops had to row slowly ashore and disembark before forming lines, all in the face of enemy fire. However, they got lucky, landing the troops with only about 100 casualties. 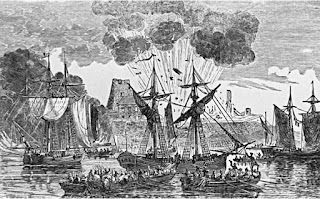 Without naval support, the French defenders could make the siege painful for the attackers, but could not prevent an eventual loss if the British decided to launch a conventional siege. This involved entrenching artillery, while slowly digging ever closer entrenchments until finally the walls of the Fort would be demolished. Unlike Abercromby at Carillon, Amherst sensibly elected to go with the conventional siege option. After the June 8 landing, British began digging their first entrenchments for their cannon. Over the next few weeks, the British Navy worked to take out the few French warships in the harbor, as well as several island batteries. The British Army took several hills near the fort and continued moving their entrenchments closer, battering the walls of the fort and slowly taking out most of the defenses. By July 3, they were within 600 feet of the main walls and continued to bombard them. The French garrison continued to put up a defense, but outnumbered, they could not go on the offensive, and could only slow an inevitable loss, unless by some miracle a French fleet could relieve them. That miracle did not come. By July 26, the British had destroyed or captured all of the French naval vessels supporting the Fort. They army and navy were bombarding the city from all sides. British artillery took out the last French cannon and British infantry breached the walls of the fort. With more than a third of his defenders dead or incapacitated, and having held out for nearly two months with no hope of relief, the French commander decided he had conducted an honorable defense and reluctantly asked for terms of surrender. Despite a valiant defense, Amherst was in no mood to give generous terms. 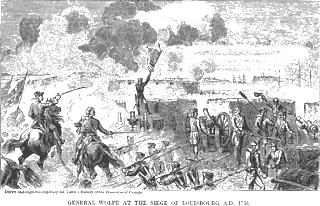 The memory of the Fort William Henry massacre was still too recent. The French defenders would become prisoners of war. All French civilians on the Island would be deported back to France, over 8000 men, women, and children. The French had no choice but to accept the terms. After the fort fell, the British army completely destroyed the fort, tearing down its walls. That way, politicians in London could never return the Fort to the French again. The British victory at Louisbourg really was the first good news London had heard from America in years. William Pitt received word of the victory at Louisbourg that autumn. He literally hugged the messenger, so overjoyed at finally getting some good news from America. His risky investments seem to be paying off. Pitt instructed Amherst to continue to attack the French along the Great Lakes, establishing British control and expelling the French from the Continent. Amherst’s second in command at Louisbourg, Gen. James Wolfe, returned to England for health reasons after the battle. Since he was in London while Amherst remained in America, he became the face of victory for the English people and was the toast of the town. Pitt ended up rewarding him with an independent command and instructions to return to America and take Quebec the following year. The fall of Louisbourg in 1758, along with Britain’s ability to control the Atlantic, effectively severed New France from the mother country. It also opened up Quebec and other inland French cities to British Naval attack as ships could now simply sail up the St. Lawrence River. 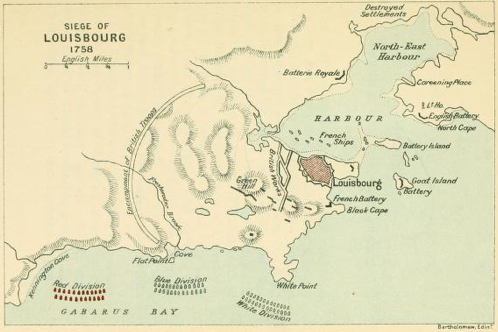 The fall of Louisbourg marked a major shift in future battles. Without relief from France, New France would slowly suffocate under the pressure of British offensives. It was still too early to know this, but the British victory at Louisbourg would mark the beginning of the end for the French in Canada. As the siege of Louisbourg was reaching its end, Gen. Abercromby was still licking his wounds from the disastrous attempt to take Fort Carillon. He probably had a good idea that his failure at Carillon, combined with Gen. Amherst’s success at Louisburg would mean that he would be out of a job and sent home in disgrace that winter and that Amherst would replace him as North American Commander. This thought probably motivated the normally slow and cautious Abercromby to try something a little more daring. Fort Frontenac on the northern coast of Lake Ontario was not a primary target for Pitt, Abercromby, or much of anyone else in the senior leadership. It was not listed as a major objective at the beginning of the season. The fact that it became a target of assault at all was probably due to the obsession of one man, Lt. Col John Bradstreet. We met Bradstreet last week when he took command on the battlefield after Gen. Howe fell mortally wounded in the first offensive against Fort Carillon. 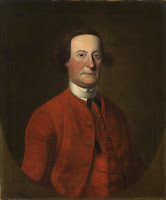 The son of a British officer and Acadian mother, Bradstreet had been a career officer, with notable service in King George’s war during the 1740’s. Shirley, who had worked with Bradstreet during the earlier war, made Bradstreet his Adjutant General. Despite his close association with the hated Shirley, Loudoun retained Bradstreet as a highly competent officer and promoted him to Lt. Col. in 1757. 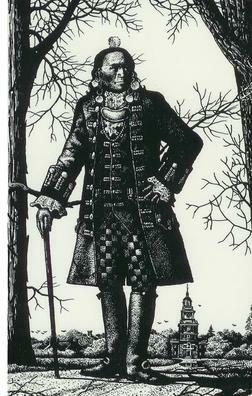 Bradstreet had convinced Loudoun to let him lead an attack against Fort Frontenac. But before the attack could get underway, Loudoun was recalled to England and Pitt’s new plan of attack, which did not include Frontenac, superseded all prior plans. After the defeat, at Fort Carillon, Bradstreet saw an opportunity to revive his plan to attack Frontenac. He convinced Abercromby to detach 5600 men under the command of Brigadier John Stanwix, and with Bradstreet as second in command, to “distress the enemy” on Lake Ontario and “if practicable” to attack Fort Frontenac. Although Abercromby was not known for using his own initiative to start new offensives, he really had little to lose at this point since he was likely facing recall anyway. The leadership kept the mission against Frontenac a secret. They maintained a cover story that the detachment was planning to rebuild Fort Bull, which Gen. Webb had burned in a panic back in 1756. This would provide a defensive point against French attack and would also reinstate a needed trading post for the Iroquois. In fact, Bradstreet planned to take his troops from there, up to Lake Ontario, along with several cannon. From there, the force would cross the lake in small boats and conduct a surprise raid on Frontenac. Bradstreet relied on speed and surprise to capture the French breastworks and mount his cannon 150 yards from the Fort’s walls on August 26, 1758. The French commander almost immediately called for surrender, even though it meant he and his men would be taken as prisoners of war and shipped back to Albany. The Fort had only 110 soldiers to defend it, not even enough to man all the cannon in the fort. The main force had been detached to participate in the successful defense of Fort Carillon, and had not yet returned. The 2200 British soldiers surrounding the Fort meant certain defeat. Fort Frontenac had been a major storage depot for the French. In addition to the Fort’s 60 cannon, the British took control of more food and supplies than they could possibly carry. Bradstreet’s orders were to destroy the Fort, not hold it. The French still controlled Lake Ontario and a counter attack was a real possibility. The British loaded as many arms and supplies as they could carry in their ships, as well as the captured French ships. Initially, the British had taken the small French Garrison as prisoners of war. But they were so overloaded with all the supplies, that Bradstreet decided to free the French prisoners and allow them to leave, on the promise that an equal number of English prisoners would be released soon in exchange. Fearing a counterattack, Bradstreet burned the Fort, along with the supplies which they could not carry. This would further reduce the already depleted French supplies for the year. On August 28, only two days after arriving, the British slipped back across the Lake to rejoin the main force. Upon his return, Bradstreet asked to make a similar raid against Fort Niagara. But for now Abercromby had had enough initiative and refused to authorize a second raid. Bradstreet wrote a self-promoting pamphlet to be published anonymously back in England. It criticized Abercromby’s timidity in taking the initiative to control the Great Lakes and promoted Bradstreet’s own valiant efforts. Bradstreet received a promotion to full Colonel, but his superiors in America were not happy with his criticism and self-promotion. He ended up as assistant Quartermaster General in Albany. A financially lucrative position, but not one that would lead to further glory and promotion. 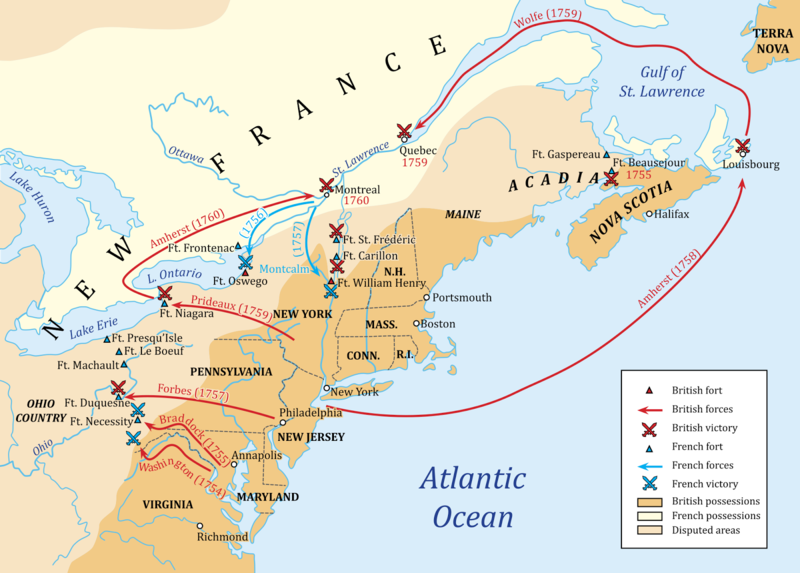 As I already mentioned, the fall of Louisburg cut off France from its forces in New France, preventing them from providing more supplies or reinforcements. This gave the advantage going forward to the British. The destruction of Fort Frontenac sped up that advantage. By destroying most of New France’s supplies there, the French were unable to supply or provide other support for many other front line forts. The French also lost arms, ammunition, and supplies that they planned to provide to their Indian allies in the Ohio Valley. The loss of these supplies would help tip the balance in future negotiations and fighting. The British had now cut off the French in Canada from their supply lines to Europe. They had destroyed much of the French supplies in the raid on Frontenac. The British also had more than double the number of soldiers in the field. If the French had any chance of preventing defeat, it would require the full efforts of their Indian allies. French General Montcalm did not like using Indians, and the massacres at Fort Oswego and Fort William Henry only reinforced that distaste. The Fort William Henry incident had created a real divide so that most tribes in Canada were now sitting out the war. Even if they had wanted to come back, most tribes were being ravaged by smallpox epidemics, brought back through prisoners from Fort William Henry. In the Ohio Valley though, local tribes were still putting up a pretty successful campaign against the British and its colonies. The local tribes, particularly the Delaware, were still upset with prior British colonial land grabs, and the fact that the Iroquois had ratified these land grabs after being paid off, leaving the Delaware to suffer. The Delaware did not want the Iroquois to negotiate for them. 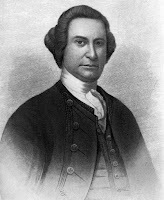 The British Indian agent, Sir William Johnson, who had been Britain’s Indian agent since the beginning of the War, was a big advocate of Iroquois control. He had been adopted into the Mohawk tribe and had a common law Mohawk wife, with whom he had eight children. Johnson was not about to undercut Iroquois authority since the Mohawk were one of the six nations of the Iroquois Confederacy. As a result, the Delaware were more and more siding with the French against the English and the Iroquois. In July 1758, Gen. Forbes, who was ever so slowly moving across western Pennsylvania toward Fort Duquesne, requested and received permission from Abercromby to negotiate directly with the Delaware. This seems like an odd move for Abercromby. He tended to be a soldier who would follow orders, stay inside the rules, and never use his own initiative. Allowing Forbes to negotiate directly meant that he was cutting out the Iroquois, as well as Johnson, the Indian Agent for Britain. Johnson’s royal commission as a Colonel (in addition to his provincial commission as Major General) and his receipt of a title of nobility a few years earlier, clearly meant he had the favor of very important people back in London. Undercutting such a powerful man was not the sort of action Abercromby would normally take. But he did. Forbes used this authority to try to work out deals with the local tribes directly. During the summer and fall of 1758, talks continued in Easton, Pennsylvania between the eastern Delaware Chiefs led by Teedyuscung, and Pennsylvania’s colonial leaders. Back in 1757, the various sides had generally come to terms to not kill each other basically by saying that we’ll resolve our differences later. Well, Teedyuscung was pointing out that it was later now, and they still had not resolved their differences. Teedyuscung wanted a reevaluation of the Walking Purchase, and a guarantee of a land reserve for his people in the Wyoming Valley (in northeastern Pennsylvania). The Easton Convention of 1758 was much larger than that of the prior year. More than 500 Indians from 13 different nations attended, each with their own agendas. These included a delegation of western Delaware from the Ohio Valley. Like Teedyuscung, most wanted guarantees that their land would not be overrun with British settlers. Their support was critical if the British ever wanted to take Fort Duquesne. The Iroquois also sent representatives, trying to reassert control over the Delaware and making clear they could not cut independent deals with the British or their colonists. Pennsylvania leaders and the British agents present would love to have simply worked out a deal with the compliant Iroquois. But they also knew that if the Delaware and other local tribes did not find the final deal acceptable, they would remain pro-French in the ongoing war despite what the Iroquois told them to do. By October 1758, the various groups had worked out a resolution. The major concession of the Treaty was to cede back all English claims to land west of the Allegheny mountains. Although the Iroquois would retain control of the lands, the English were permitted to negotiate directly with the local tribes to resolve issues. In other words, the Iroquois would not be permitted to undercut the Delaware in the Ohio Valley and sell their land out from under them. That was good enough to bring the western Delaware back onto the side of the British. By this time, the British victories at Louisbourg and Frontenac were well known. The French had their supplies cut off and were clearly on the defensive. For the Delaware, they realized they had better cut a deal with the winning side that protected their land. Teedyuscung, Chief of the eastern Delaware, now found himself isolated at the conference. The Iroquois had reasserted authority over him. Now that the western Delaware had cut a separate deal for their land, the eastern Delaware posed no serious threat. If they went to war, they could be cut down by the Iroquois and the colonists. Teedyuscung realizing this, spent most of the Conference getting drunk and rambling angrily. In the end, he only got promises that they would look into the terms of the Walking Purchase at some later date and would refer the issue of a Wyoming Valley reservation back to the Iroquois Council for further consideration. Neither of these ever resulted in any satisfaction for the eastern Delaware. But with peace now in place with the Western Delaware, Gen. Forbes could finally move forward with his plans to take Fort Duquesne. Next Week: Gen. Forbes makes his final assault of Fort Duquesne. The British follow up that, by capturing Fort Niagara, and finally Fort Carillon as well. 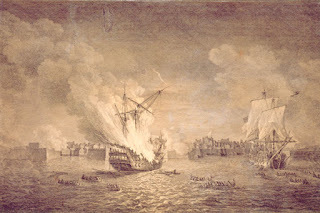 An authentic account of the reduction of Louisbourg, in June and July 1758, (1758) (a contemporary description published in London months after the battle). An Authentic register of the British successes: being a collection of all the extraordinary and some of the ordinary gazettes from the taking of Louisbourg, July 26, 1758 by the Hon. Adm. Boscawen and Gen Amherst, to the defeat of the French fleet under M. Conflans, Nov. 21, 1759 by Sir Edward Hawke: also, a particular account of M. Thurot's defeat by Capt. John Elliott, (1760). A letter to the Right Honourable William Pitt, Esq., from an officer at Fort Frontenac, (1759). An impartial account of Lieut. Col. Bradstreet's expedition to Fort Frontenac, by John Bradstreet (1759) (this is Bradstreet’s own work, published in London to publicize his accomplishments). The Diary of Nathaniel Knap [sic] of Newbury in the province of Massachusetts Bay in New England: written at the second siege of Louisburg in 1758, by Nathaniel Knapp (1895). Louisbourg, From its Foundation to its Fall, 1713-1758, by John McLennan (1918). Genuine letters and memoirs relating to the natural, civil, and commercial history of the islands of Cape Breton and Saint John: from the first settlement there, to the taking of Louisbourg by the English in 1758, by Thomas Pichon (1760). A Soldier of the Wilderness: A Story of Abercrombie's Defeat and the Fall of Fort Frontenac in 1758, by Everett Titsworth Tomlinson (1905) (from Google Play - Books). 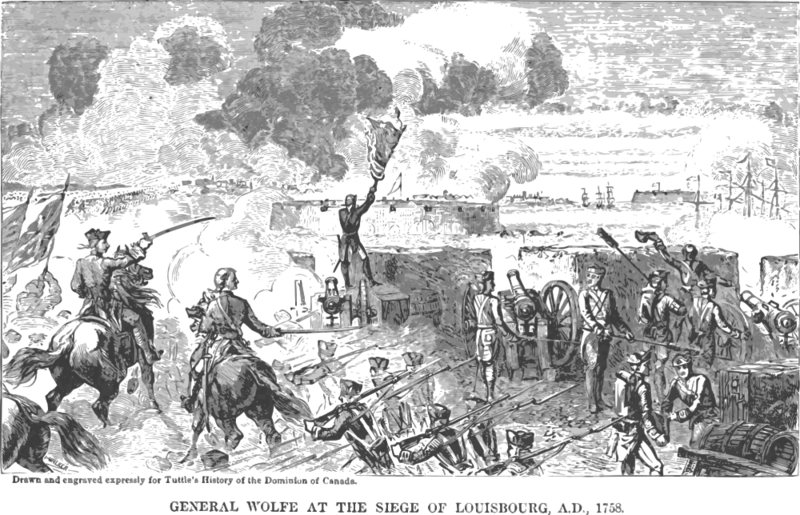 Causes of the Alienation of the Delaware and Shawanese Indians from the British Interest, by Charles Thomson (1867 - originally published 1759). The Great Fortress: a Chronicle of Louisbourg, 1720-1760, by William Wood (1915). The Capture of Louisbourg, 1758, by Hugh Boscawen (2011). Endgame 1758: The Promise, the Glory, and the Despair of Louisbourg's Last Decade, by A. J. B. Johnston (2008).